Can Testo reduce the risk of carbon dioxide buildup with detection instruments? Your old gas heater, the one that has reliably kept your home warm for many winters, may be lethal. If it no longer works properly, you can be exposed to the risk of deadly carbon monoxide emissions. Carbon monoxide (CO) is a colourless, odourless and high-risk gas produced during incomplete combustion that can lead to neurological issues, such as memory loss and confusion, or even death. In this guide we'll answer five key questions that can help you improve your gas appliance safety. 1. How is CO produced? The gas is mainly produced by malfunctioning heater appliances. In open-flue devices, this can occur when a negative pressure environment causes combustion gases to be drawn into the room. With closed-flue appliances, this happens when heat exchangers crack from defect or wear-and-tear. Gases then leak into the indoor environment – most dangerously CO. This gas is produced when there is not enough airflow into the gas heater for full combustion, and can be very dangerous at high levels. 2. What are the dangers of CO poisoning? These issues can manifest in up to half of all people affected by high levels of CO. Additionally, the effects of poisoning can also be delayed by up to 40 days. Acute poisoning attacks the central nervous system and displaces oxygen in the blood stream, causing respiration issues. Chronic poisoning, meanwhile, causes persistent ailments such as headaches and ongoing nausea. There are strict Australian standards for gas appliance operation to reduce the risk of CO build up. Most heaters are not allowed gas spillage after a five minute combustion period following ignition. This issue is evident in older or more regularly-used units. Servicing your gas appliances reduces the risk of CO poisoning – but testing to see whether your indoor air quality has been compromised is also a necessity. 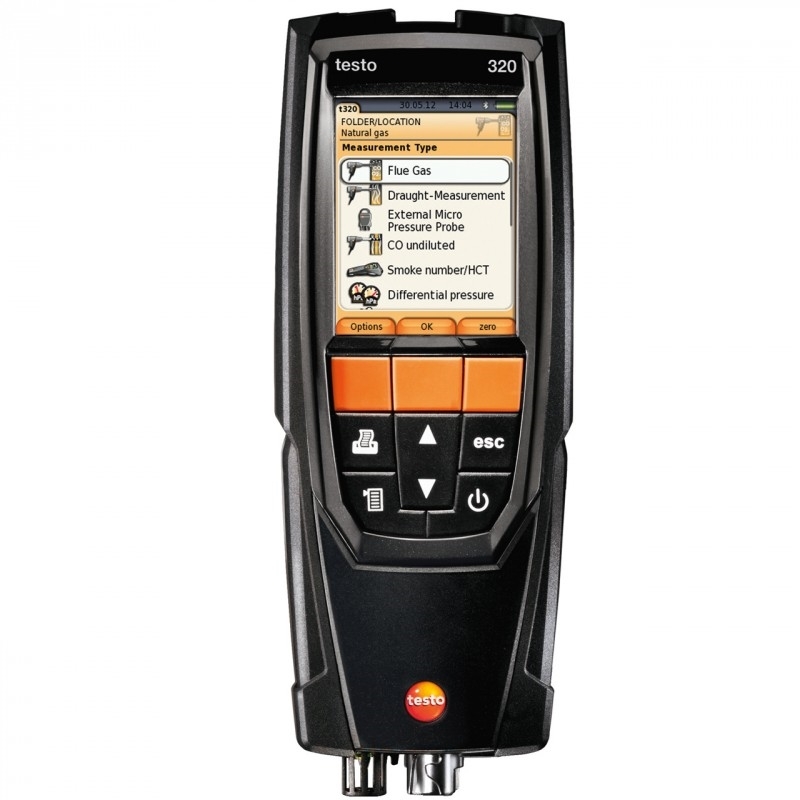 The testo 320 is a sophisticated solution for improved gas detection. 3. Why is detection key to managing exposure levels? Safe Work Australia stipulates that the maximum recommended exposure to CO gas over an eight hour period is 30 parts per million (ppm). These measurements account for when individuals may be exposed to higher levels of CO for short periods of time; for example, CO levels of 100 ppm are only tolerable for one hour before the effects of oxygen displacement begin in earnest. These exposure levels are managed by detection testing for carbon monoxide levels, with methods differing between different types of gas heater. Test 1: Conduct a smoke test with the gas appliance switched off to establish if your room has a negative pressure environment that facilitates regular air flow. If this environment exists, technicians need to determine additional ventilation required to equalise this pressure. Test 2: Operate the appliance while using exhaust fans and test for gas spillage from common leakage areas, including the draught diverter relief openings, heat exchanger joints and flue connection. Meanwhile, the process for a central heating unit located outside the building, in the roof or under floor is more complicated. Spillage here may go unnoticed for longer, meaning technicians have to test ambient gas levels and take direct readings. 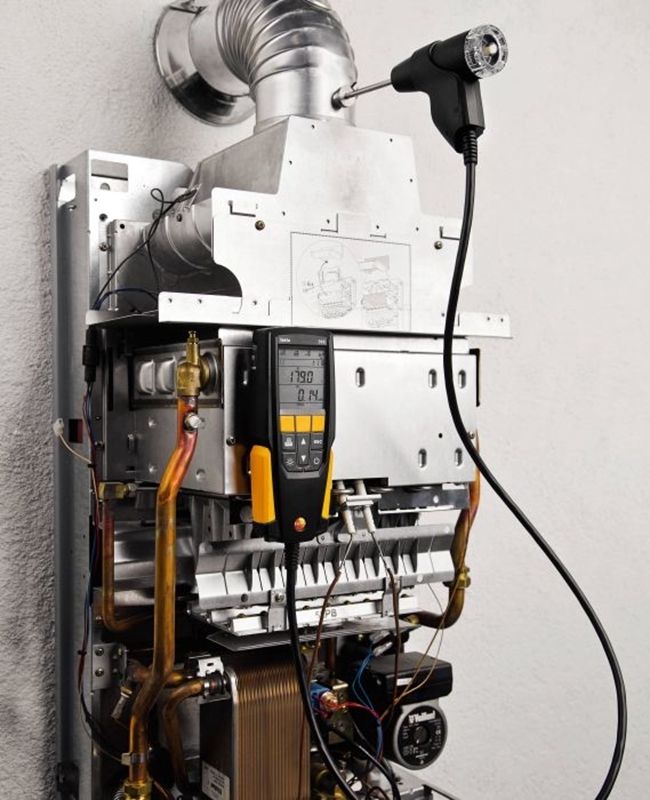 After testing the background CO level, technicians should operate the heater and place the detection solution in the air stream of a duct outlet, monitoring for 10 minutes. These assessments determine whether a CO build up is likely. However, to fully test indoor air quality, safety technicians need to check ambient gas levels and readings around the appliance itself. 4. Ambient testers vs gas analysers – which should technicians use? By their very nature, they don't detect any other gases. This means technicians can't perform preventative maintenance work. Testers are affected by high temperatures – anything over 50 degrees Celsius results in data being skewed. This means they can accurately test the spillage source of a gas appliance. Gas analysers don't bear any of these problems. Equipped with temperature probes, the best equipment allows users to accurately test for both ambient levels of CO and levels around the appliance. Testo's 310 Gas Analyser can test for up to five different flue gases. 5. What CO detection equipment should I use? Testo Australia offers gas detection instruments to suit a range of commercial applications, including the testo 320 Gas Basic Kit and Testo's 310 Flue Gas Analyser. The testo 320 Gas Basic Kit: This is the perfect instrument for high-quality flue gas analysis. Its wide measuring range makes it a reliable for detecting heater malfunctions, while the sensors optimised to measure gases are equipped with a temperature monitoring probe. This means users can directly measure gas spillage from the source without temperature affecting the data readings. The testo 310 Flue Gas Analyser: Testo's 310 analyser is ideal for measuring CO as well as other ambient gases such as carbon dioxide. Its rugged design, user-friendly functionality and advanced sensor technology make it perfect for detecting numerous gas parameters. For more information on our CO detection instruments, contact the Testo team.